London was all astir with talk of the young preacher Charles Haddon Spurgeon. He lacked the flowery, elaborate sentences of most preachers, but his simple directness spoke to the hearts of his audience. His passion for truth was as strong as the older Puritans he loved and studied, yet there was nothing stale and musty about his preaching. Almost as soon as the nineteen year old began his ministry at New Park Street Chapel on London's south side, the Chapel became too small for the congregation. Though the Chapel could seat twelve hundred, seats, aisles, and even window-sills were overflowing whenever Spurgeon preached. A year after he arrived at New Park Street, the chapel was expanded, but the larger fifteen-hundred capacity building was not sufficient for the thousands thronging to hear Charles Haddon Spurgeon. For a time the congregation rented Exeter Hall, which seated forty-five hundred people, but it soon proved too small as well. As the crowds expanded, Spurgeon leased the Surrey Music Hall in the Royal Surrey Gardens for services. This was London's "largest, most commodious and most beautiful building, erected for public amusements, carnivals of wild beasts and wilder men." Many criticized Spurgeon for leasing a building designed for worldly amusements, but the hall held ten to twelve thousand people and that number packed the building for the first service on this day, October 19, 1856. It seemed at least as many people were outside the building as were inside. The service had only gone a few minutes when there was the frightening cry of "Fire! the galleries are giving away, the place is falling!" In the ensuing panic to flee the building, many people were trampled. Seven died and others were seriously injured. Spurgeon was tremendously depressed over the event, and his grief was so deep some feared his reason had left him. He spent hours "in tears by day, and dreams of terror by night." 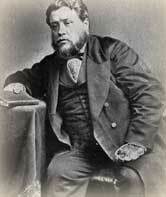 Within two weeks, however, Spurgeon had recovered sufficiently to preach again. The crowds were even bigger than before. In the spring of 1861, the Metropolitan Tabernacle was completed; this was to be Spurgeon's pulpit for the next thirty-one years. Throughout those years an average of five thousand people attended each morning and evening Sunday service. Spurgeon's was the megachurch of nineteenth century London. Though he constantly preached to a sea of faces, Spurgeon trembled at the multitudes who came to hear him. He was aware of the awesome responsibility of giving them the truth and not just tickling their ears. In his last sermon at Surrey Hall before moving into the Metropolitan Tabernacle he urged his listeners, "In God's name, I beseech you, flee to Christ for refuge! Shall there be any of you, whom I shall see on my death bed, who shall charge me with being unfaithful? Shall these eyes be haunted with visions of men whom I have amused, but into whose heart I have never sought to convey the truth?...God avert that worst of ills --unfaithfulness from my head! I pray you, in Christ's stead, be ye reconciled to God!" Conwell, Russell. Life of Charles Haddon Spurgeon. Edgewood, 1892.